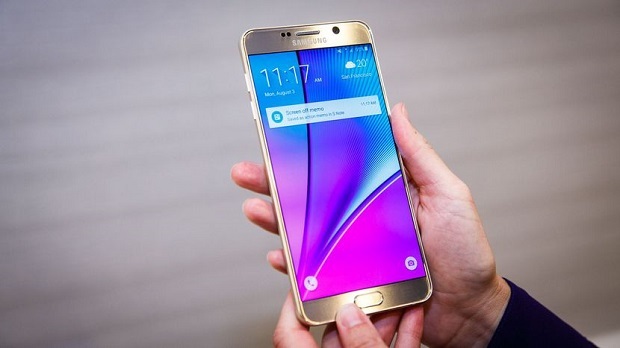 Almost two years since its initial release the #Samsung #Galaxy #Note5 is still the latest model in the Note series due to its successor which is the Note 7 being recalled. Although it is already an old model it is still considered as one of the best smartphones available in the market. This is mostly due to its great hardware architecture as well as the constant software updates that it is getting. A lot of people are currently using this phone as their reliable daily driver without experiencing any problems however sometimes there are instances when certain issues can occur which we will be addressing today. In this latest installment of our troubleshooting series we will tackle the Galaxy Note 5 won’t turn on issue & other related problems. Solution: The only way that you will be able to get the photos stored in your phone is if the phone is powered on. Try to perform the troubleshooting steps listed below to turn on your phone. Clean the charging port of your phone using a can of compressed air. Make sure that any dirt or debris stuck in this port is removed. Perform a simulated battery pull. This is done by pressing and holding both power and volume down buttons for at least 10 seconds. Your phone should restart after this. If your phone does not start then connect your phone to a charger and let it charge for at least 20 minutes. Turn on the phone. If your phone turns on then backup your photos. If your phone does not turn on then try connecting it to a computer with Kies or Smart Switch installed and running. If your phone can be detected then you will be able to backup your photos. If the above steps fails to work then you need to bring your phone to a service center and have it checked. Problem: I am having problems with my SAMSUNG Note 5 as it is not charging at all. Initially, problem started with gear vr download notification pop up while charging and green screen appeared in between. Also, it behaved abnormally without my control. Then later i hve downloaded oculus and disabled later. Still phone is not at all charging, i see one time it charged after opted battery optimized mode though it didn’t show that it charging but i see that battery % level increasing. Currently, i am surviving with battery optimized mode and my phone is not allowing to charge. I’ve cleaned the device battery port to make sure this should be an actual issue. Solution: Since you have already tried cleaning the charging port of the phone which didn’t work then you will need to proceed with the troubleshooting steps listed below. After performing each step immediately check if the issue still occurs and if it does you should move to the next step. Try using a different charging cord and wall charger to charge your phone. This allows you to check if the charger that you are using is causing the problem. Try using a wireless charger. If the issue does not occur then the problem could be caused by the charging port of the phone. Have this checked at a service center. Backup your phone data then do a factory reset. This allows you to check if a glitch in the phone software is causing the problem. If the above steps fails to fix the problem then you need to bring your phone to a service center and have it checked as this looks like a hardware related issue already. Solution: Usually in cases like this what you need to do is access the recovery mode of the phone. This is done by following the steps listed below. Once in recovery mode you should try wiping the cache partition of your phone first. Restart the phone. If the issue still persists then go back to recovery mode then do a factory reset. Take note that the reset will erase your phone data. If you are unable to access the recovery mode or if the above steps fails to fix the problem then you might already have a bricked phone. If this is the case then you should try flashing your phone with its updated stock firmware file. You can download the firmware file from the Sammobile website which should also have the instructions on how to flash your phone. Problem: Sm-n920v randomly turned off then went to infinite boot loop. will not load recovery mode (vol up + home + power) will allow download ( vols down + home + power) odin 3.12 with ap from Sammobile will pass. but continues to bootloop. any other way to put a fresh OS on this phone? Solution: If you have already successfully flashed the phone with its official firmware and the phone still continues to have the bootloop issue then the problem could already be caused by a failing hardware component. I recommend that you bring your phone to a service center and have it checked. Solution: If your phone does not charge using a wired charger then follow the troubleshooting steps listed below. If the issue remains then your phone might have a defective charging port. You should have this checked at a service center. Solution: Have you tried checking if the display works in recovery mode? If it works in this mode then the problem could be caused by a software glitch. Try to perform a factory reset in this mode. Take note that the reset will erase your phone data. If the issue still persists even in recovery mode then this is already a hardware related problem possibly caused by a faulty display assembly. I recommend that you bring your phone to a service center and have it checked if this is the case. Problem: Hello! I dropped my phone from id say about a foot and the bottom part of my screen would not react to my finger, once reset now the screen doesn’t light up at all. Potentially a digitizer issue or screen itself? Solution: It’s possible that the drop has damaged the display assembly. To check if this is the case try to start the phone in recovery mode. If the screen works in this mode then proceed with a factory reset. Take note that the reset will erase your phone data. If the screen does not work in recovery mode then most likely that the drop has damaged it. I recommend that you have this checked at a service center. Thank you so much for the information. It really helped me a lot. I have a Tmobile note 5 and it suddenly when black. I am not able to use the power button to start the phone. Using the combination buttons will not work to start the phone. Either in download mode (vol up, home, power) nor does the hard reboot work (vol down, power). Also used several different cables to charge and also wireless charging and it does not see to be charging. Any suggestions on how what is wrong with the phone. I believe it may be just down to a huge issue with hardware only. Meaning the phone will just have to be replaced or dumped completely and purchase a new entire phone. Seems like everywhere I have read. There is not a solution to this. Note5 Voice command has started by it self and can’t turn it off at the same time mobile will not start. Thank you so much for you help! I was able to get my phone to start again using your suggestions. Saved me a trip to the store! !